Anxiety can affect people in different ways. Here at my Leatherhead hypnotherapy clinic recently I had a client whose anxiety had become so overwhelming that he couldn’t travel outside of a half-mile radius of his home. This was affecting not only his own life but also the life of his partner and their child. Going out for the day or even a trip to the park caused a major anxiety attack resulting in the client avoiding more and more things. This avoidance then increased his anxiety. Using hypnosis to strengthen his confidence and then setting small goals each week eventually he was able to learn coping mechanisms and begin to enjoy his life again. Anxiety can be triggered by events in our lives and then our thoughts about those events develop until we begin to avoid situations where we believe there could be a problem. Another client lived in a road where she was having difficulty parking near her house. Every time she left home in her car she became worried and anxious about finding a parking space on her return. This eventually lead to her having panic attacks about finding a place to park. Using hypnosis this worry could be reduced and she learned to accept that sometimes parking a little way away from her front door was not the problem she had created in her mind. 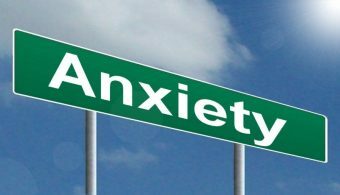 Anxiety is often seen as the anticipation of a future problem and techniques like hypnotherapy and mindfulness can help clients to deal with everyday life more easily. Contact me to find out how hypnotherapy can help you.